MoneyMonday – What Do You Get the Person that WANTS Everything…A Financial Plan! The holiday season is here again and it’s time to figure out what to get for those important people on your list. I know it can be difficult to come up with gift ideas for the person that has everything. It’s even harder to come up with ideas for the person that WANTS everything (that won’t break the bank of course). This year, get them something that they both desperately need, but probably won’t buy for themselves….a financial plan! To help those financially challenged people on your list, I’ve developed a new wealth building membership program called Financial Personal Training. It’s like working with a personal trainer at your gym, but for your financial health. A P90X workout program for your wallet, so-to-speak. Think about it: Do you know anyone (including yourself) that has been trying to get any of the to-do items below done, but needs some quality advice and guidance to finally do so? If so, then Financial Personal Training is for them (or you)! As a member in the program, you’ll receive access to exclusive monthly training webinars where we’ll discuss important financial topics with ample time for Q&A. Each member receives a private monthly coaching session where I’ll work with you on your specific financial goals and aspirations, such as those listed above. That’s only the beginning! For a complete list of benefits, check out the program website at http://www.financialpersonaltraining.com. Normally, the monthly investment for a life changing program like this would be fairly expensive. But because I appreciate you guys so much for joining me on this wealth building journey, I’ve set the normal price at the level of $97/month. Since it’s the holiday season, and I know how much you love those Black Friday deals, I’m offering the first three months of the program at an astonishingly low $49/month! And, so that no one get’s hurt rushing through the virtual doors, I’m giving you until the end of Cyber Monday to secure your spot in the program at this discount. However, just like the $99 televisions at Wal-Mart, there are only a limited number of spots available, so don’t treat this like homework and wait until the last minute. MoneyMonday – Forget Facebook, Raise Millions for your Dream Business on Kickstarter! Forget trying to get rich off of the Facebook IPO. Raise the money to start or build your own dream company using Kickstarter! Plus, why the stock market had a rough month of May in this week’s #MoneyMonday. 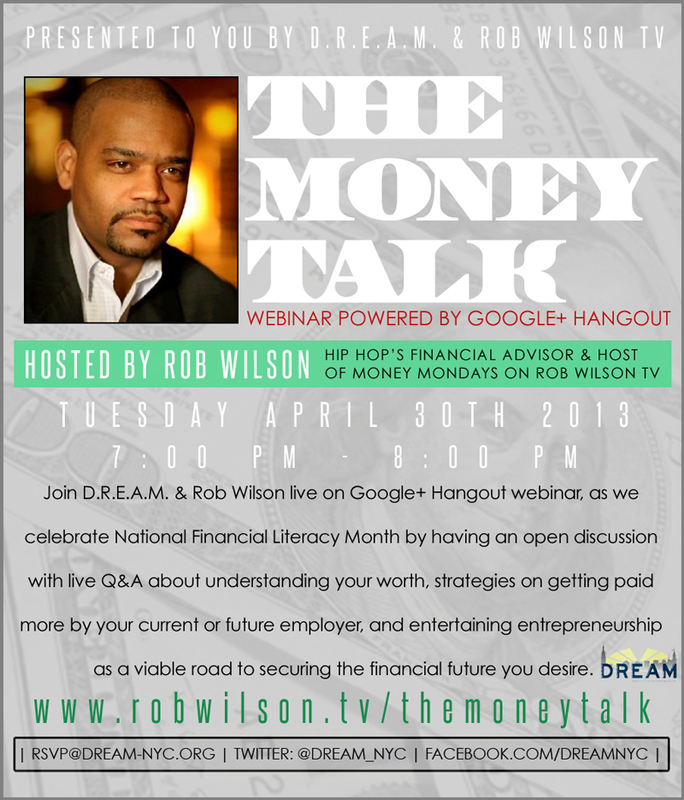 March Money Madness in Black Enterprise! 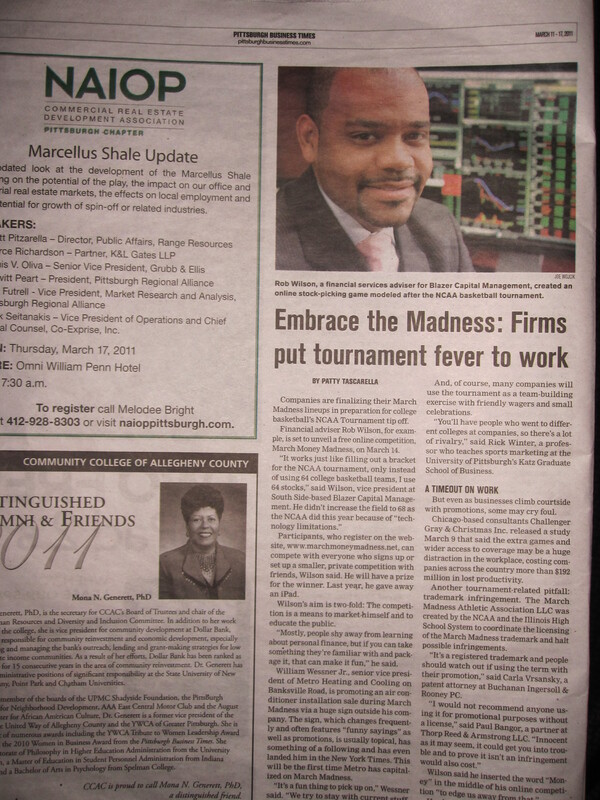 March Money Madness made it to Black Enterprise. Special thanks to Janell Hazelwood (@JPHazelwood) for covering the 2012 edition of the game. Thanks to everyone that signed up and…Good Luck! What can people learn about investing from March Money Madness? What’s great about the competition is that you can test out your hypotheses about what makes stock prices move in the real market, and this experience can help you become a better investor. Know where to go to open an brokerage account if they want to start investing. I’m Taking You to School! Even if you’ve been out of school for quite some time, it’s good to hit the books every now and again. Here are a few timeless personal finance tips along with good books to drive those points home. You’ve got your degree, now what? Here’s what to do next.